When standing by your man can get you killed. Like most of the arguments that still erupt between them, the disagreement that led up to the attack, she says, was nothing more than a conflated misunderstanding. 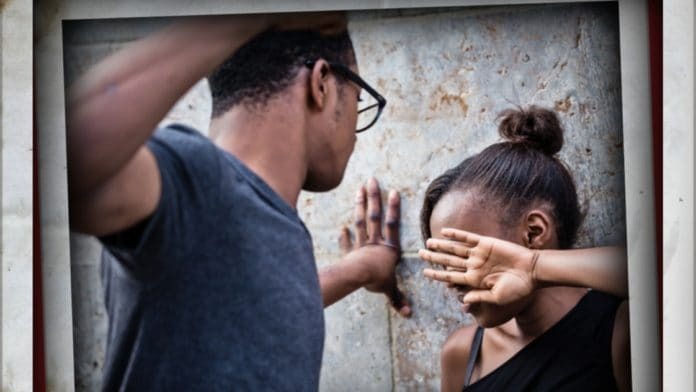 Now, years later, she says she still vividly remembers feeling shocked, angry and distraught even more than the physical pain she endured when the man she vowed to love forever – the Black man for whom she’d literally prayed to come into her life – resorted to physical violence. That first slap created a chasm in their relationship that persists until today. “It mostly happens when he feels like I am not listening to him,” asserts Johnson, of the physical and emotional abuse she continues to endure. She says she believes his abusive ways are the result of the violent mistreatment he faced from his parents while growing up. The abuse increased progressively after that first time, until one night their neighbors apparently heard the sound of furniture breaking inside their apartment and dialed 911. By the time the officers arrived, her husband had long left. Gina says she lied to protect him when they asked point-blank if he’d ever struck her. “I looked them dead in the eye and said ‘no,’” admits Johnson, who is in her early 50s and lives modestly with the help of a monthly disability check. She requested that her real name and identifying details be withheld to protect her and her husband’s identity. Johnson says the rash of high-profile incidents of white police officers nationwide using excessive force on unarmed Black people, mostly Black men, is the primary reason why she and other Black women often choose not to call for help during domestic violence incidents – even when their own lives are in danger. A landmark study conducted by the Centers for Disease Control and Prevention (CDC), which highlights race and domestic abuse, confirms that non-Hispanic Black women like Johnson are killed in domestic violence incidents at higher rates than women of any other race or ethnicity; trailed closely only by the homicide rates for Indigenous women, whom represent a considerably smaller number of women overall (4.4 percent versus 4.3 percent per 100,000 women respectively). The CDC’s analysis of homicide data also confirms that Black women are murdered at rates nearly three times that of non-Hispanic white women. One in 10 of all of the murdered women in the study had reported experiencing some type of violence in the month prior to their deaths. About 51 percent of the Black women homicide victims in the study were killed as a result of intimate partner violence (IPV) and “almost 60 percent died by firearm [and] 19, almost 20 percent, were pregnant or postpartum” at the time of their deaths,” explained Emiko Petrosky, co-author of the CDC report. “Now, in terms of who perpetrated the homicide, it’s consistent with other racial and ethnic groups in that more than half of homicides of women, across all racial and ethnic groups, were related to intimate partner violence,” explained Petrosky. The human face behind the stats for which Petrosky speaks are increasingly more common in news reports across the country: stories of Black women from various walks of life, all killed at the hands of their husbands, ex-husbands and boyfriends – often, in front of their children. November 2018 marked a rash of deadly cases including two sisters, who were found shot to death in their burning apartment near Los Angeles.They were allegedly murdered by one of the sister’s ex-boyfriends. That month, a Cleveland area woman was also killed by her estranged husband, a judge who’d previously spent nine months behind bars for beating her in front of their children. 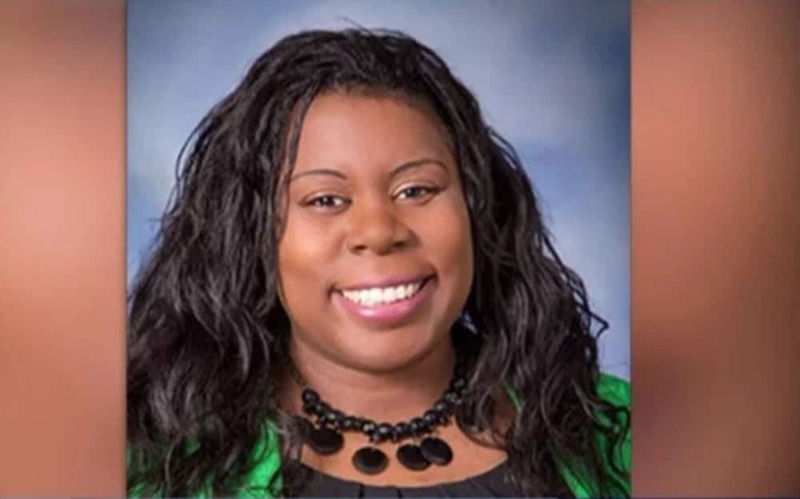 Then, Dr. Tamara O’Neal, an emergency room doctor was shockingly gunned down by an ex-fiancé in the parking lot of the Chicago hospital where she worked. The celebrity world has been no exception, with singers Rihanna and Kelis and most recently, actresses Tisha Campbell and her now 23-year-old former “My Wife Kids” co-star, Parker McKenna Posey having all recently accused their famous Black male exes of domestic abuse. Despite that sobering reality, many Black women say they can relate to Gina Johnson’s leeriness and outright fear of involving police when intimate partners, which research shows is mostly Black men, attack them. Black women’s apprehension stems mostly from a longstanding distrust of police in our communities and a rash of deadly police killings involving Black victims. Many anti-domestic violence experts say it may also be an unintended consequence of social justice campaigns such as Black Lives Matter, which center largely around the racial profiling of Black men. “There’s an unspoken rule that we have to protect Black men in general; we have to protect them because of the things that they face in society [and] because of the uncertainties that they face every day. It’s as if we feel like they don’t need another added concern,” asserts Beverly Gooden, a self-described domestic-violence-survivor-turned-activist. 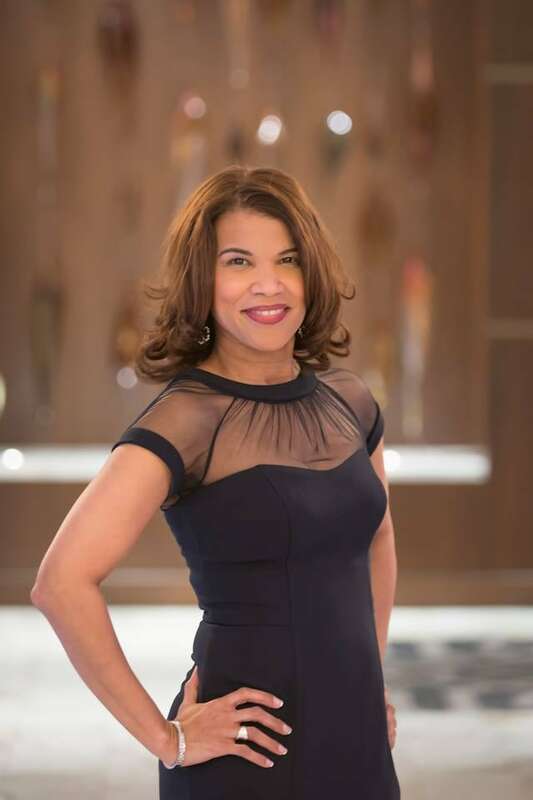 Gooden runs the Ella Mae Foundation, a non-profit organization in Houston that discreetly provides “Bolt Bags” packed with essentials for women fleeing IPV. 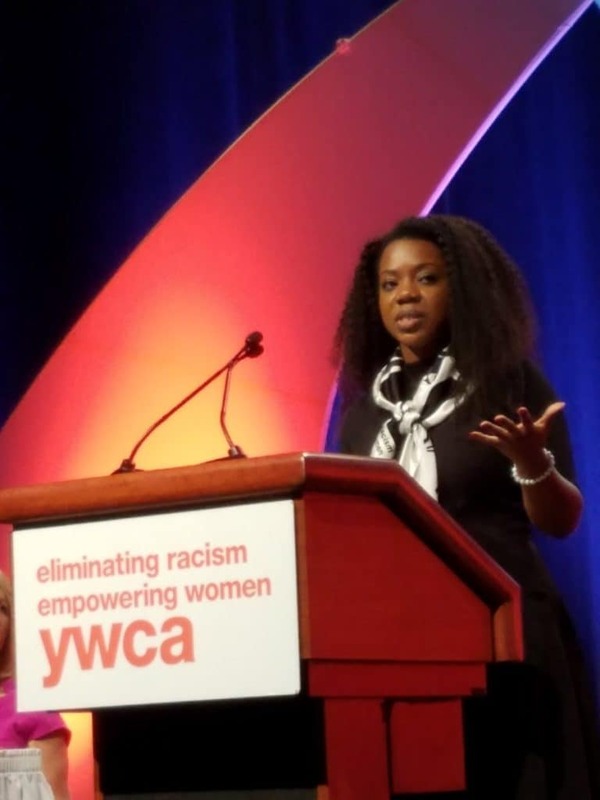 Angela Beatty, senior director of Domestic Violence Victim Services at the YWCA in Oklahoma City, agrees that high profile incidents involving law enforcement are likely factoring into the decision of many Black women who choose to avoid intervention from law enforcement. She says Black women have long felt obligated to protect their Black men, even dating back to the days of slavery. “In general, it’s challenging to be one more person saying what’s wrong with Black men, when so much of the rest of the world does that already,” says Beatty, who also serves on Oklahoma’s Domestic Violence Fatality Review Board Sub-Committee. The group is nicknamed “For Tia,” in honor of 19-year-old Tia Bloomer, an African American mother in Oklahoma who was stabbed to death by her child’s father at a bus station in 2012. “There is this sense that we have to be conscious of not making things look worse, or not feeding into negative stereotypes where African-American men are viewed as hyper-sexualized, violent and aggressive,” says Beatty. 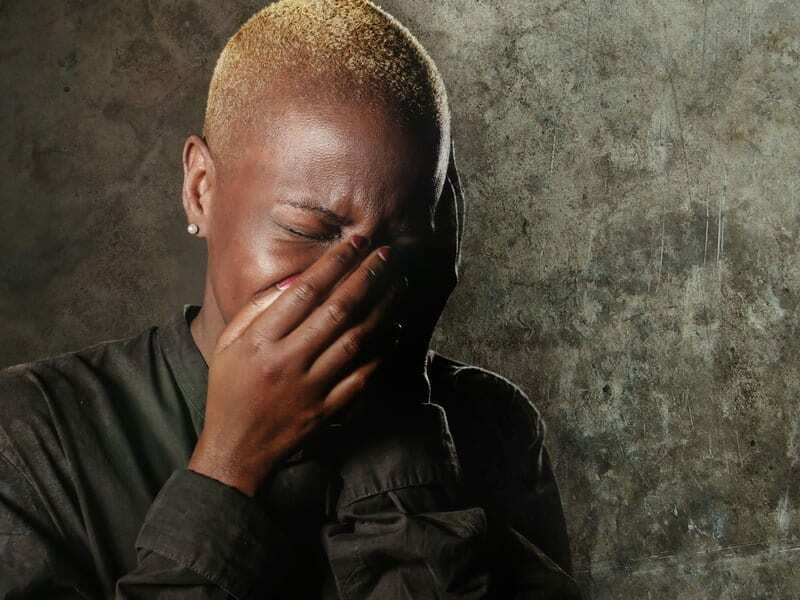 Some domestic violence advocates say that Black women also have a legitimate fear that they themselves may end up arrested or subjected to violence or mistreatment from responding officers if they call police for help, adding to already heightened anxiety levels. Oliver Williams, a former child welfare worker, who served as the director of the Institute on Domestic Violence in the African American Community from 1994 to 2016 and a former appointee to the National Advisory Council on Domestic Violence, says it is a valid concern – especially in cases where Black women attempt to fight off their abusers, which often impacts how officers arriving on the scene respond. “When the police come out, they tend to identify who looks like the primary aggressor; sometimes the person who really is the victim ends up being identified as the perpetrator,” explains Williams, now a professor in the School of Social Work at the University of Minnesota Twin Cities. To his point, one of the most famous cases involved Marissa Alexander, a Black mother of three from Jacksonville, Florida, who received a 20-year prison sentence for firing a single warning shot into the ceiling of her home. She says it happened after her estranged husband attacked her and threatened her life in 2010 – nine days after she’d given birth. In a subsequent deposition, her husband admitted to having abused other women. Although Alexander had used a gun she was licensed to carry, a judge ultimately denied her the benefit of applying the state’s controversial Stand Your Ground law. It was the same law, incidentally, that George Zimmerman used as grounds for his acquittal in the murder of Trayvon Martin. Alexander ultimately spent three years in prison and two years on house arrest until a national “Free Marissa Now” campaign led to her early release in January 2017. Now, she travels the country promoting her Marissa Alexander Justice Project, a non-profit which focuses on domestic violence prevention among teens and also advocates for women criminalized for defending themselves against their abusers. Williams says Alexander’s case, and that of many others like it, must be addressed on a systemic level before more Black people, especially Black women domestic violence survivors, will begin feeling comfortable reaching out to law enforcement and seeking help from other community resources. One recent glimmer of hope can be found in the case of Catina Curley, an African-American New Orleans woman, who after a decade in prison, was released in March 2019 when a judge ruled that she was justified in murdering her abusive husband. On the national level, the reauthorization of the Violence Against Women Act (VAWA), which has taken center stage after it expired in February, is also being championed as a step in the right direction. The landmark bipartisan legislation originally enacted in 1994 following the Clarence Thomas/Anita Hill hearing, provides funding and grants for a variety of domestic violence programs. Beverly Gooden is hopeful about change, yet she believes that the deafening silence about IPV in the Black community is sending out a message that Black women’s lives do not matter in America, especially for young Black women in the 18-29 age group. CDC statistics affirm that they are disproportionately being killed by the men whom they date, marry and with whom they share children. Her sentiments echo that of similar social commentary sparked earlier this year following the release of the multi-part documentary series accusing R&B singer/songwriter R. Kelly of evading criminal conviction after decades of allegedly imposing overt sexual, physical and emotional abuse on underage Black girls and young women. “The problem is, as we start to unpack it is, that we tell Black women and girls that they ‘need to protect the Black man’ even at the expense of themselves,” says Gooden, whose 2014 #WhyIStayed social media campaign received coverage on Good Morning America, CNN and The Washington Post. Kemba Smith has dedicated her life to, among other related issues, speaking to women about the consequences of trying to protect a male abuser. As a naïve college student with no criminal record, she lost her freedom and snagged national headlines when she received a 24.5-year federal prison sentence on felony drug charges. Although Smith says federal prosecutors had asserted that she had never touched, taken or sold drugs, she was convicted in connection with her then boyfriend’s illegal drug activities. She spent six-and-a-half years behind bars, before mounting media pressure largely led by NAACP Legal Defense Fund attorneys led to then President Bill Clinton commuting her sentence in 2000. Smith, who grew up an only-child in a stable and nurturing two-parent household, says the emotional and physical abuse she endured from her boyfriend had chipped away at her self-esteem. As a result, she says she remained in their toxic relationship to her own detriment. While pregnant with his child, she spent several months on the run with him, unaware that federal authorities were in pursuit of them. He was murdered before he could face any charges. Black women are often bombarded with societal messages about a scarcity of Black men available for romantic relationships, sparking anxiety that leads to some women willing to stick it out with toxic partners who treat them badly. The CDC study, incidentally found that nearly 60 percent of the Black women who were victims of IPV-related homicides had never been married or were single at the time of their death, the highest level among all races and ethnicities. “A lot of Black women find themselves looking for love in all the wrong places,” says Smith, now 47, who details her harrowing ordeal in a memoir Poster Child: The Kemba Smith Story. She spends much of her time today speaking about domestic violence and criminal justice issues. Gooden believes that Black women are finally realizing that it’s time to protect ourselves. “We’re valuable enough, important enough and necessary enough to protect; that protecting ourselves and protecting each other is more important than worrying about what’s going to happen to Black men,” says Gooden. As for Gina Johnson and the six years she has endured being beaten, she says her husband’s violent attacks still occur, but have become less frequent over the years. She is hopeful that he will change one day, but she has no plans of seeking help for herself or leaving him if it doesn’t. If you or someone you know is in an abusive relationship, please call the National Domestic Violence Hotline at 1−800−799−7233 for help. *Gina Johnson’s name has been changed to protect her. Multiple award-winning journalist Chandra Thomas Whitfield reported this piece with support from the Fund for Investigative Journalism and the Schuster Institute for Investigative Journalism at Brandeis University Fellowship program. You may follow her work @ChandraWrites on Facebook.